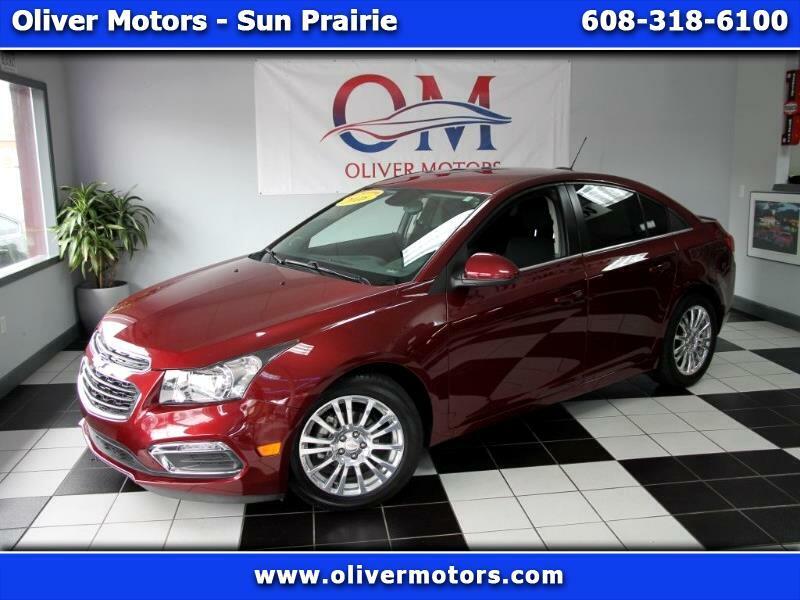 Oliver Motors is EXCITED to offer: 2016 Chevrolet Cruze Eco Limited with only 19,375 miles! One owner... low miles... Navigation... clean AutoCheck with no accidents! Why buy new? The first owner took all the depreciation out for you, and yet this car is virtually new! Don't hesitate, or this car will be gone! Oliver Motors Sun Prairie WI. is Sauk County's Premier Pre-Owned Automotive Dealer serving Sauk, Juneau, Columbia, Dane, Richland, Marquette, Adams, Wood, Portage, and Marathon Counties. Compare our competitive SALE prices to NADA Retail and Kelly Blue Book-KBB!